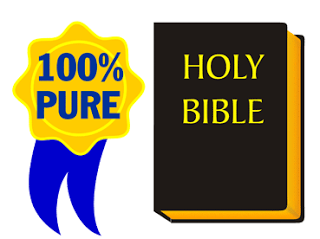 The exact word Church of God was mentioned in the Bible (King James Version) 8 times by the New Testament. My intention is to show internationally or globally that the name of the Church can be read in whatever dialect or languages it was translated. I just can't understand why many of us are not inside this fellowship where all must grow together in faith. Lithuanian, 1 Corinthians 1:2 Dievo bažnyčiai Korinte, pašventintiems Kristuje Jėzuje, pašauktiesiems šventiesiems su visais, kurie šaukiasi mūsų Viešpaties Jėzaus Kristaus vardo kiekvienoje vietoje pas jus ir pas mus. Polish, 1 Koryntów 1:2 Zborowi Bożemu, który jest w Koryncie, poświęconym w Chrystusie Jezusie, powołanym świętym, ze wszystkimi, którzy wzywają imienia Pana naszego Jezusa Chrystusa na wszelkiem miejscu, i ich, i naszem. Swedish, 1 Corinthians 1:2 hälsar den Guds församling som finnes i Korint, de i Kristus Jesus helgade, dem som äro kallade och heliga, jämte alla andra som åkalla vår Herres, Jesu Kristi, namn, på alla orter där de eller vi bo. Thank you for this post my brother. I believe that father Yahuah has raised his standard and so many are ignoring it because of vain traditions. Jeremiah 23 talks about how the shepherds has caused his people to forget his name, hence causing them to call on baal (a Babylonian god). My brother the father's name is critical in these end times. His name is Yahuah. In 1947, Yahuah Elohim allowed us to find the Dead Sea Scrolls. These scrolls put a "plum line" on the Septuagint vs Masoretic translations. The scrolls also allowed us to confirm his name. His name is not God, His name is not Lord, His name is not Adonai. Many of the titles above originated in Babylon during the time of captivity. Also, during this time, Israel was forbidden to call upon the name of Yahuah. After the release from captivity by Cyrus The Great, many held on to tradition even after captivity. With all of that said, Yahuah winked at our lack of knowledge for a season. Now, we have an opportunity to seek and better understand the ways of Yahuah. So when we say the Church of God, shouldn't we use the true name or should we continue with what is traditionally acceptable? Lastly, the Dead Sea revealed and confirmed the many other books that were left out of our bible. One of those books is the book of Enoch. This book was written specifically for our generation. You can read the free PDF of this book online or you can help me carry the message concerning his name by supporting the audio version of the Book of Enoch. I love you, Yahuah loves you more. Thank you for your time and blog. Thanks for your reply Brother. 2 Pet 2:1 But there were false prophets also among the people, even as there will be false teachers among you, who will privately bring in damnable heresies, even denying the Lord that bought them, and bring upon themselves swift destruction. If there were false prophets naturally there were false dead scrolls that can destroy the whole translation of the Bible even the original hebrew and greek translation. The Bible is complete with its teachings regarding names. In fact, a name is one of the most important things in life that we have to consider. God’s name is an object of worship. The four Hebrew characters on the open book, referred as Tetragrammaton, read as Yod, He, Vau, He, and translated in English as YHWH, is the original name of God in Hebrew, written in the Ten Commandments. Now, because people have gone too far from God’s way, you can hear names which are products of inverted names like yahuah, yaweh, jehova, etc.